My Favorite Things … To Sew – Everything Your Mama Made & More! 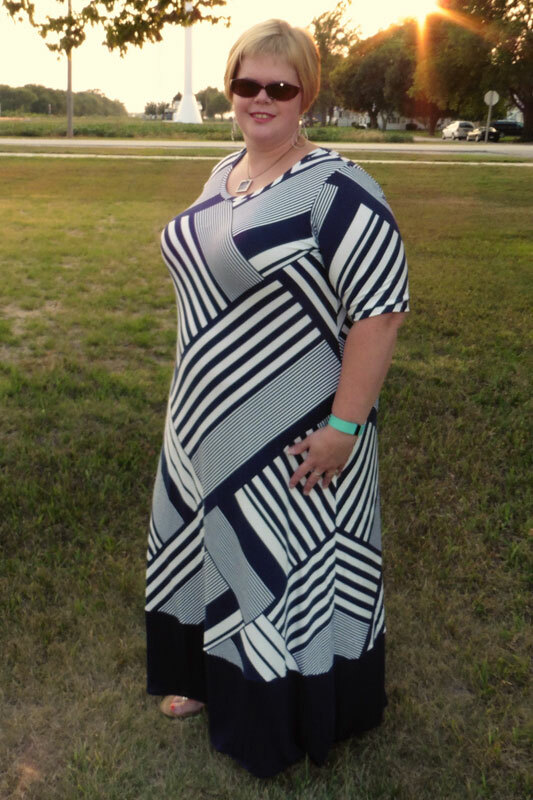 All summer long, I’ve been jonesing to sew up a new maxi dress, but just couldn’t find the time with kids home from school and lots happening the last couple months. So when Tibeca at Sewing by Ti announced that her blog tour this month was themed “My Favorite (Sewing) Things,” I knew it was my chance to put a deadline on sewing my new maxi dress. 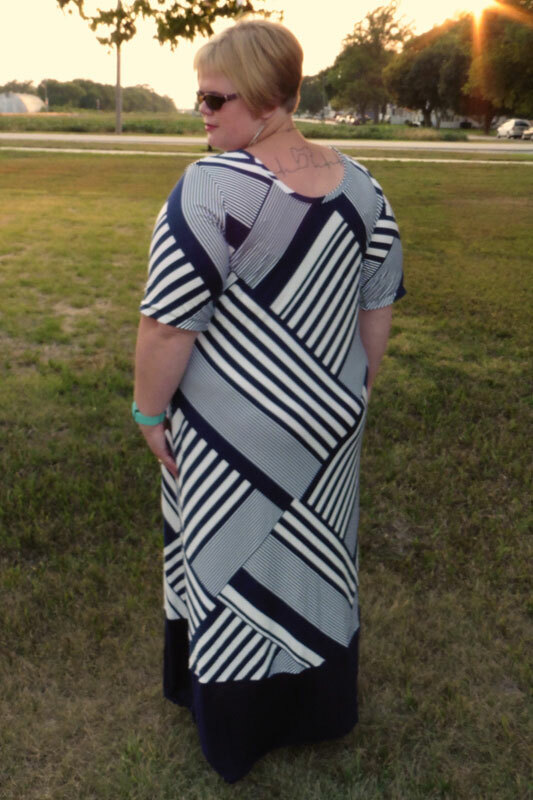 I’ve had this navy and white crosshatch/striped cotton/spandex set aside to make a California maxi for a long time … so long that I can’t even remember where I bought it for sure! LOL! As I was laying it out, though, inspiration struck and I decided to fold it on the bias rather than straight with the grain before cutting so that the stripes would all be angled (and, hopefully, appear more flattering). 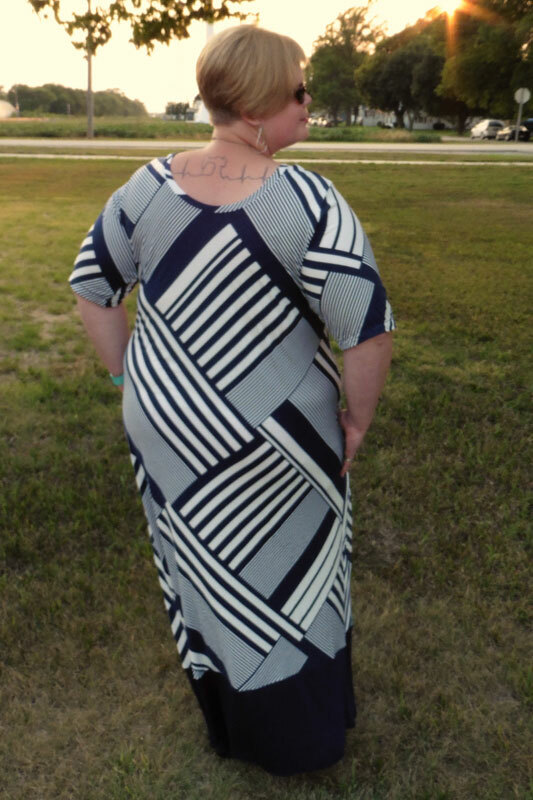 After folding, however, I realized that at a 45 degree angle there wasn’t enough width and length to cut out a maxi dress without adding a seam up the center (like on my stripes to chevron tutorial). So I stared at it on my cutting mat for a bit, then went digging in my stash for a coordinate to color-block the bottom hem. 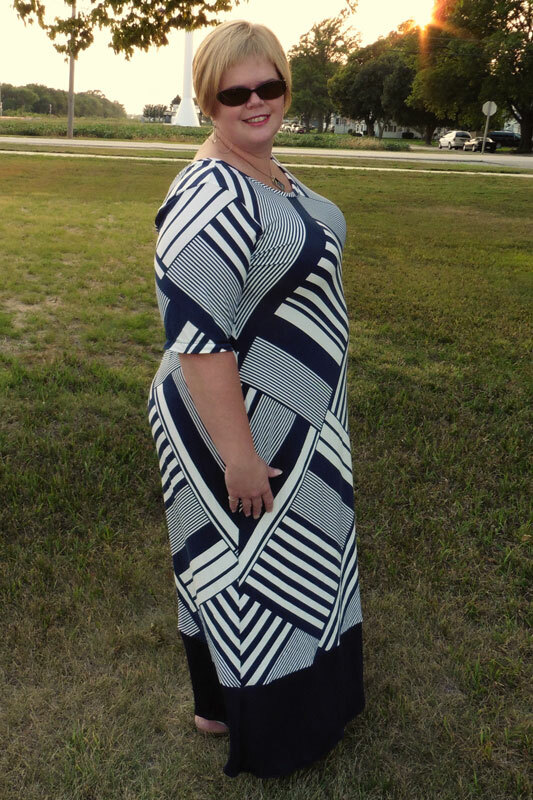 I’m so glad I found the solid navy because I feel like it really “grounds” the pattern of the dress. 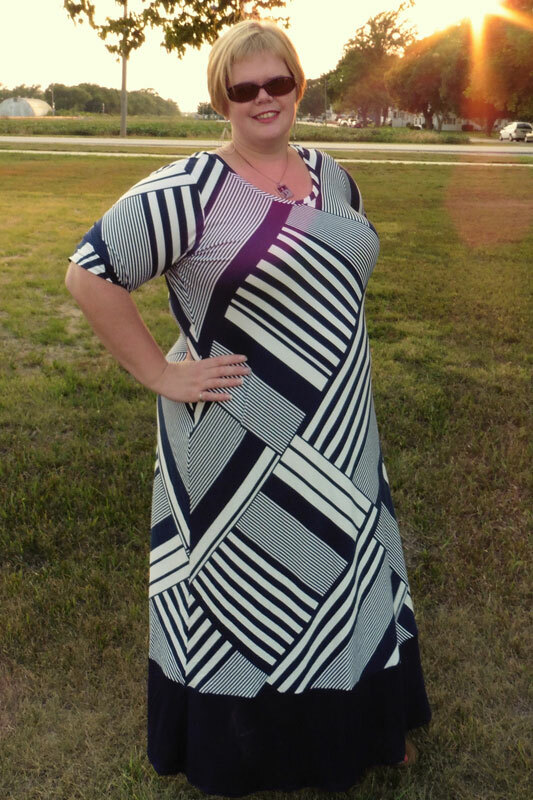 This Maxi dress looks great …Love the fabric too…Also love the changes you made ….Very nice on you . me to get lots of things done. Your beautiful dress is a huge inspiration to get more done so I can make a dress too! You are so clever. From fabric to color, everything looks flawless. I am getting an urge to make one for myself today :). Thanks for coming up with this post. I will subscribe to your blog to get more posts like this in my mail box.